It’s nearly 3 weeks since we got back from our honeymoon and I write this with serious post-wedding / honeymoon blues! BUT: time for Part 2! 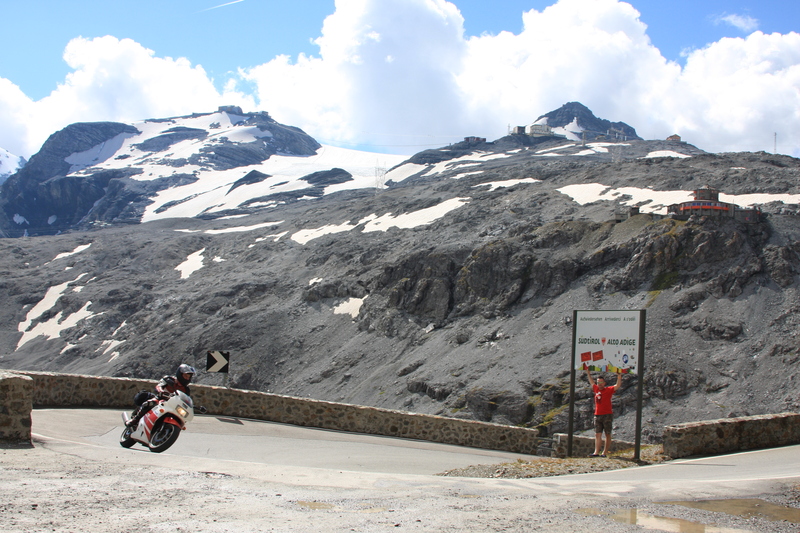 The Stelvio Pass. Oh My Life. 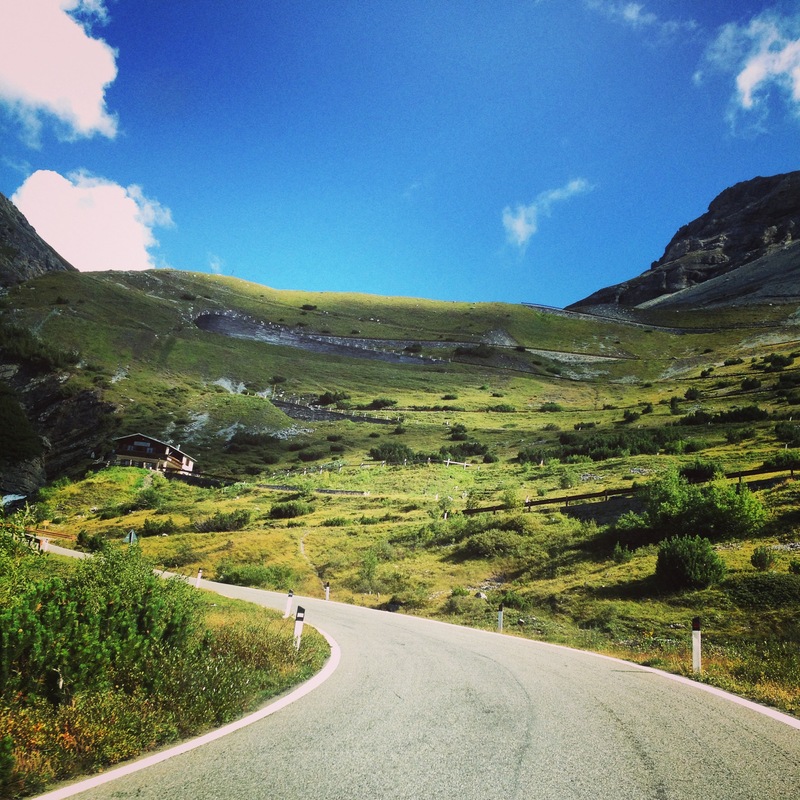 The Dutchie summed it up perfectly… posting this panorama on Facebook with the caption “The drive of a lifetime”. Boy was he right. Unfortunately, this is the only picture you’ll see from the Dutchie… while his photos can be restored, the price tag is ridiculously hefty… so for now at least we’ll have to go without. A massive shame that he has lost hundreds of photos (including the beginning of the honeymoon.) Damn. 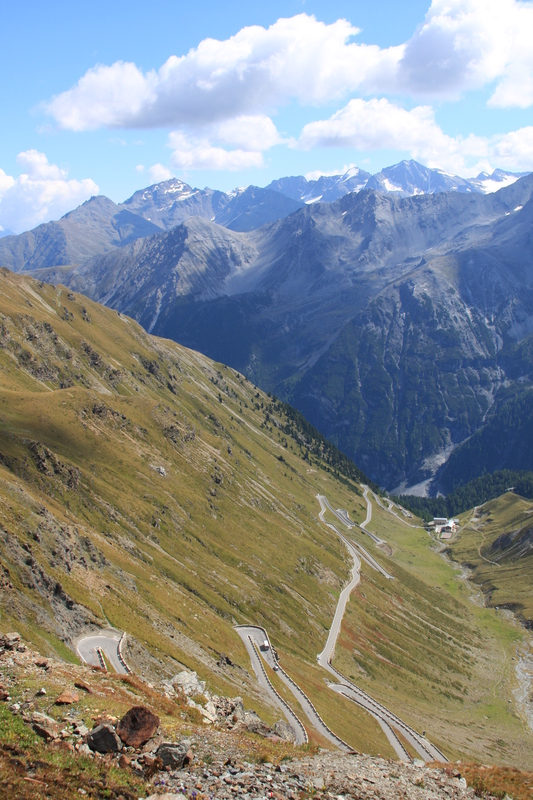 The idea of going via the Stelvio Pass (in Italian it’s called the Passo dello Stelvio and in German: Stilfser Joch) came from one of the Dutchie’s work colleagues. He’d recently been on a similar road trip and said it was well worth a detour. Yep. Yep. Yep. 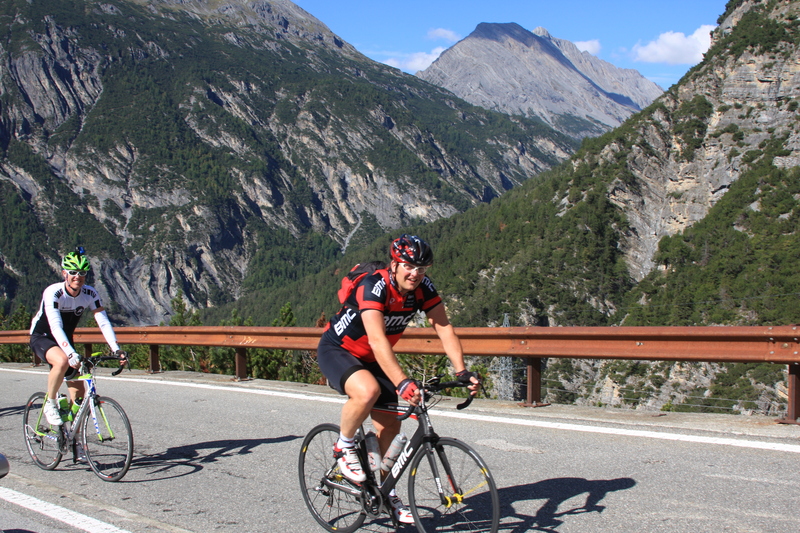 There were tons of insane brave cyclists tackling the pass. 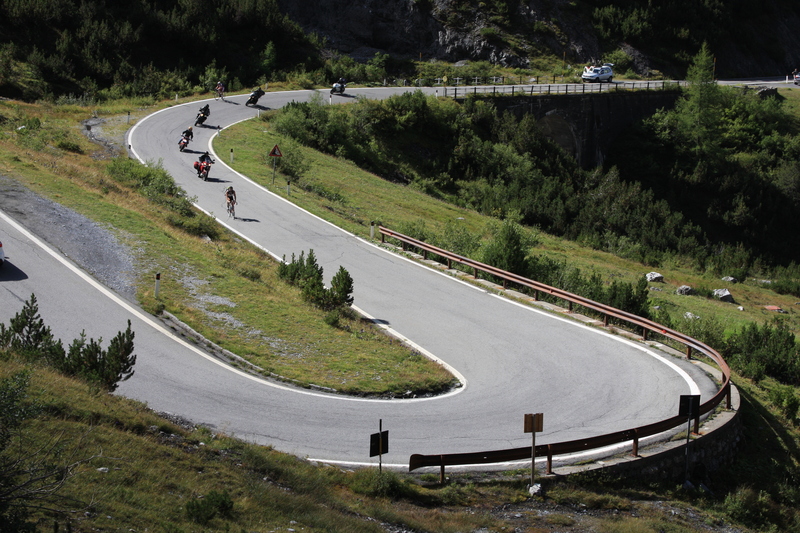 At 21.5 km long with 48 hairpins… that’s no mean feat! 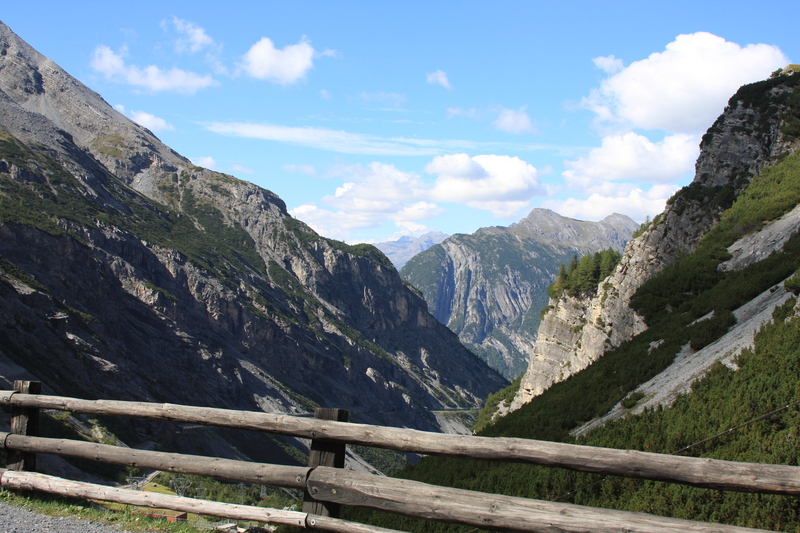 The pass is located in the Ortler Alps in Italy between Stilfs (“Stelvio” in Italian) in South Tyrol and Bormio in the province of Sondrio, Lombardy, Italy. 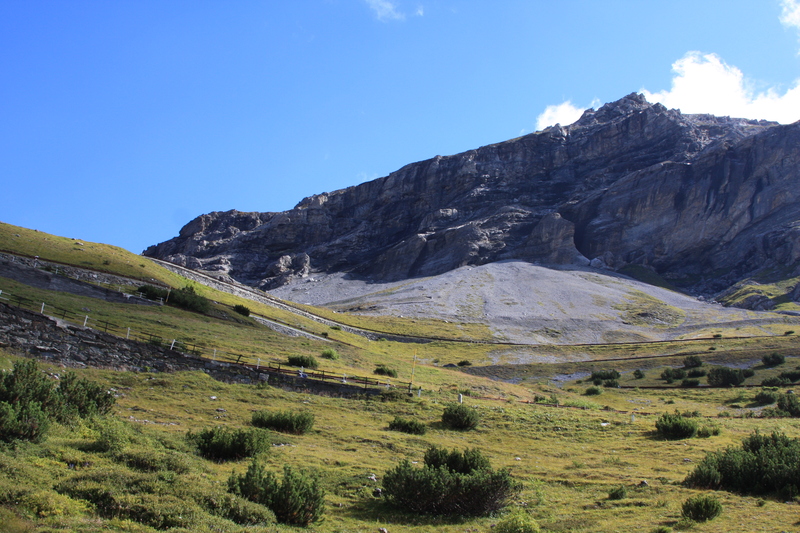 It has an impressive elevation of 2,757m (9,045 ft) above sea level! The views are absolutely breathtaking! We stopped to admire them at pretty much every opportunity we could! There are several parking places for cars, some more hairy (scary) than others! 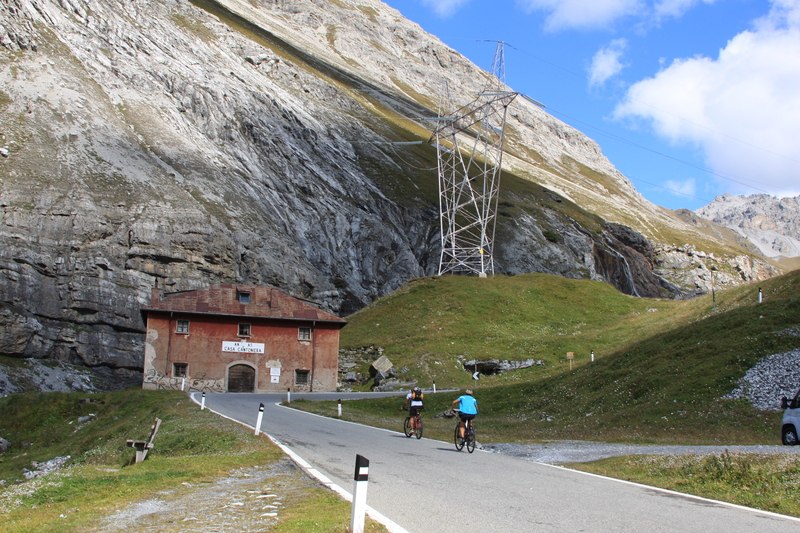 The advantage of cycling is that you can stop wherever you like. Maybe not so insane after all. … and out the other side! 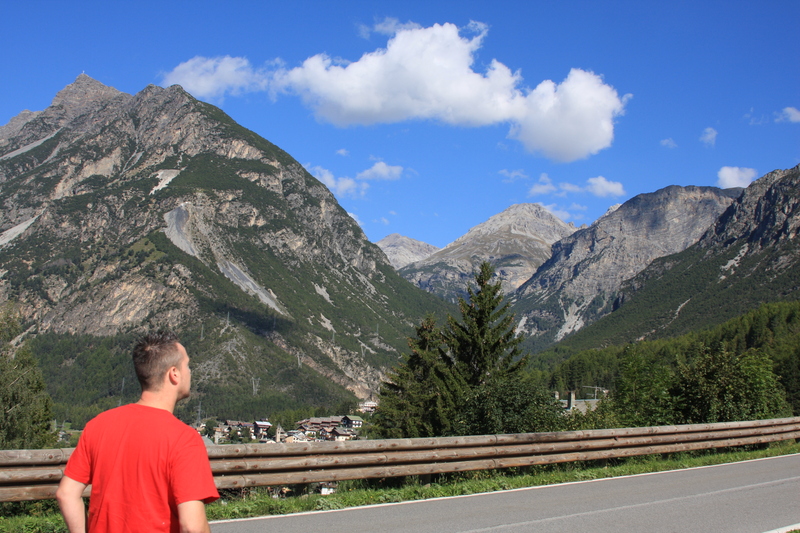 This was taken just after the small town of Bormio, a popular skiing destination in the Alps. 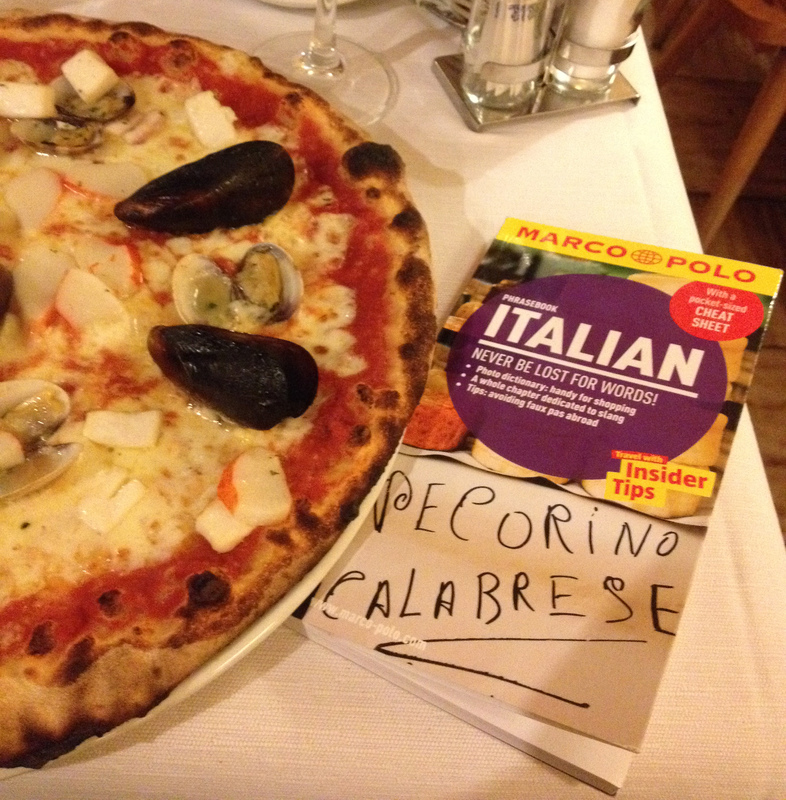 An amazing start to the trip and highly recommended if you’re going to Northern Italy! When driving the pass: don’t be a dingbat! The road is narrow, there are lots of other road users present. 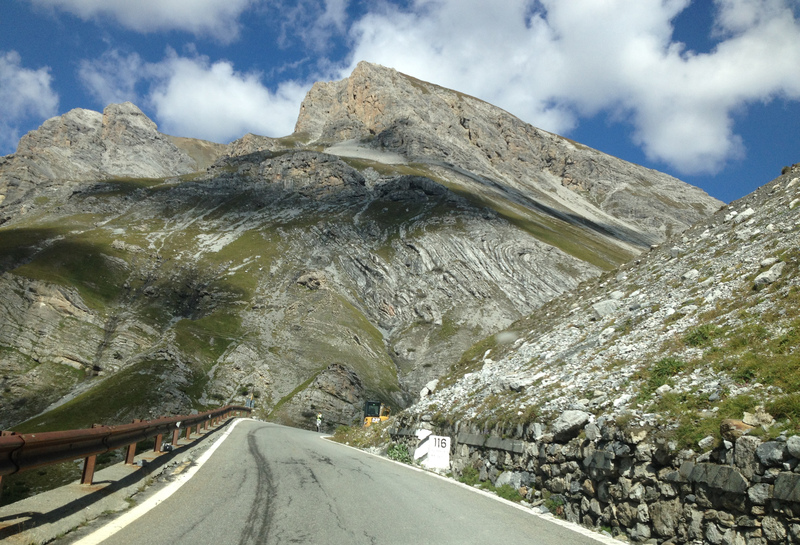 On certain hairpins, cars in front of us were blindly taking corners without looking what was coming the opposite way. This just causes a traffic jam as the road isn’t wide enough for two cars. I repeat: don’t be a dingbat!! Part 3: Lake Garda! Have you been? I was so excited to see your post an blog, that I couldn’t ‘read’ it…I had to fly through it!! And YES, I’ve been to Lake Garda and LOVED it, of course. I’ve driven some of the same roads you have. 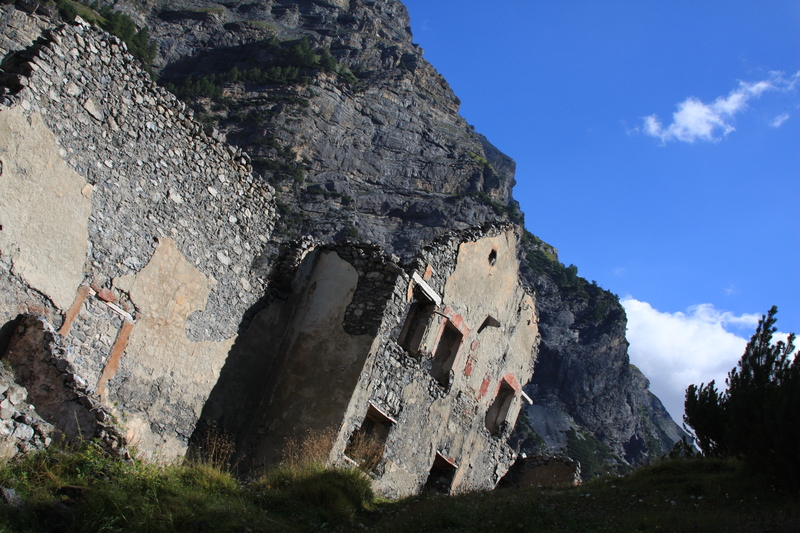 My ancestors on my mothers side come from Cavedine, Italy (near Dro, Arco, Riva Del Garda) in the Trentino region of Northern Italy. We visited there in 2007. I’m not sure how close you were to this area, but if you’re near Garda, you’re close!! Can’t wait to read more…Ciao Bella!! Hope. Thanks, peacefromdespair! Yep, I can’t imagine anyone going there and not loving it! Soooooo beautiful! We drove through Riva Del Garda, but unfortunately didn’t stop there. Thanks again for your lovely comment, ciao!